The Seahawks won 3 regular season road games all of last season. This week they have a chance to match that number and it is only week 5. The Seahawks head to Indianapolis to take on the AFC South leading Colts. The Seahawks are 4-0 and are looking to extend their best start in franchise history. The Colts are 3-1 and are coming off a dominating 37-3 win over the Jacksonville Jaguars. The Seahawks are 4-6 all-time against the Colts. Their last meeting came in 2009 in Indianapolis when the Seneca Wallace-led Seahawks lost to Peyton Manning’s Colts 34-17. Here are the keys I believe the Seahawks need to focus on in order to escape Indianapolis with a win. One of the big things that propelled the Seahawks to a victory last week was the improved pass rush in the second half and overtime. 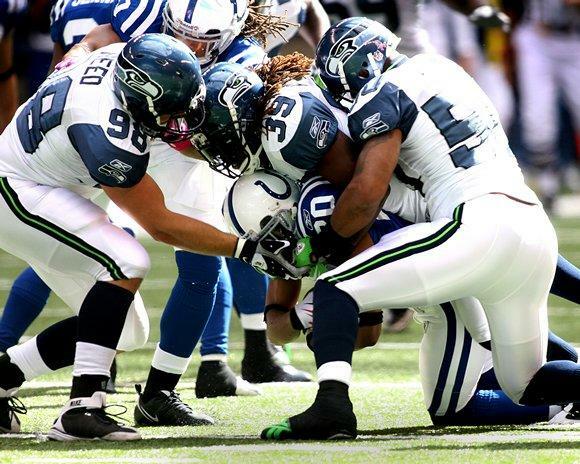 This week the Seahawks have a 4-headed pass rushing monster that could give the Colts trouble. Bruce Irvin is back from serving his 4-game suspension for violating the NFL’s performance-enhancing substance policy. The Colts offense will have to prepare for Irvin along with Chris Clemons, Cliff Avril, and a healthy Michael Bennett. Back during training camp and the preseason I pondered about the creative blitz packages Dan Quinn could draw up using all four of our primary pass rushers. This is the first week Quinn will have a chance to implement a gameplan that uses all of these guys. I will be keeping an eye on Indianapolis’s third down efficiency because these four guys will make the biggest impact on third down. I would not be surprised to see more blitzes called on first and second down this week to try to confuse the Colts offense and get to quarterback Andrew Luck early and often. 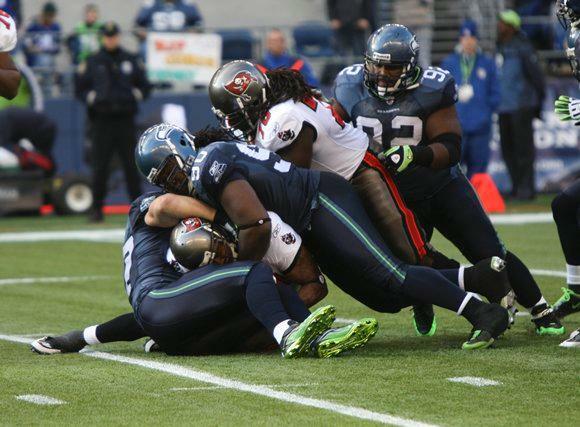 A struggle of the Seahawks in the first half last week was the play of the offensive line. 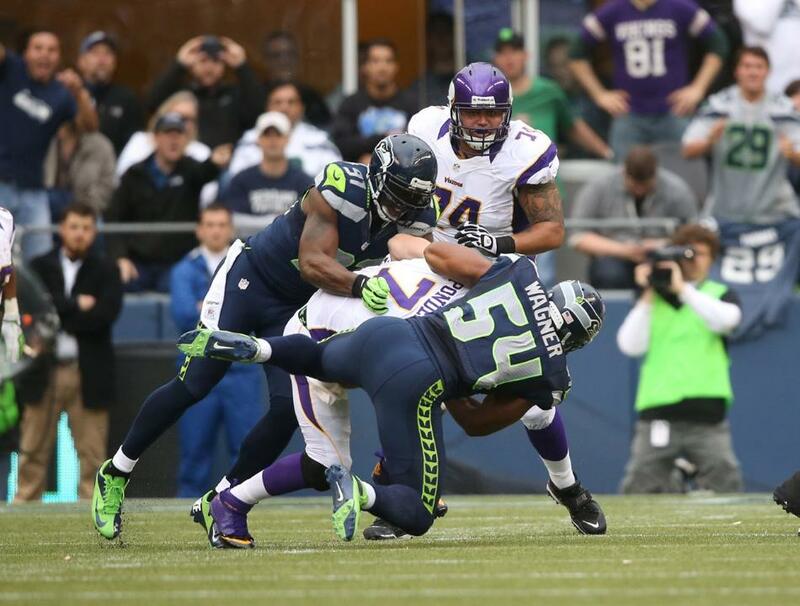 Quarterback Russell Wilson was sacked 5 times last week and was pressured in 16 total plays throughout the game. This week, regardless of who starts along the offensive line, Seattle must contain the pass rush of the Colts. We are not going up against the best defensive player in the NFL this week but we are going up against one of the most underrated defensive units in the league. Indianapolis linebacker Robert Mathis has flown under the radar so far this season. He leads the league in sacks with 7.5 on the season. I expect the Seahawks to struggle early in this game if they try to throw the ball. The trend on the road this season seems to be a slow start matched with in-game adjustments to improve on what the opponent throws at them on both sides of the ball. 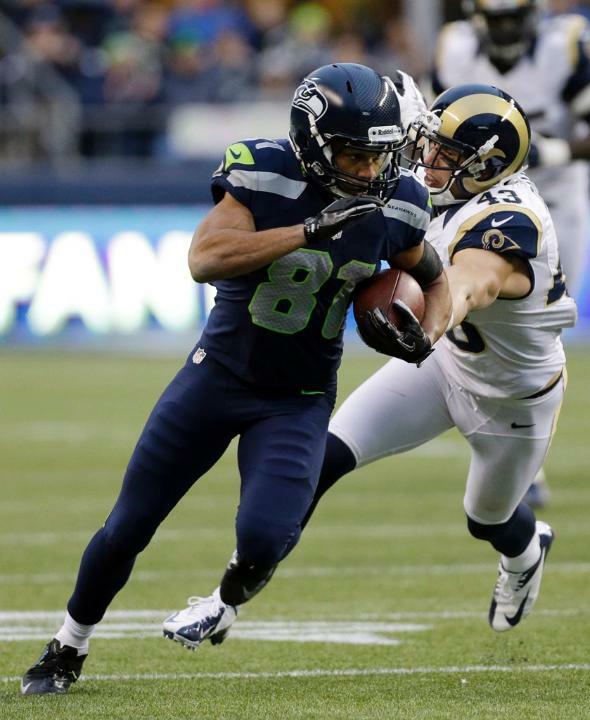 The Seahawks have averaged only 3 points in the first half of their two road games. One way to avoid a slow start this week is to get Marshawn Lynch going in the first half. If you take out a 43-yard run in the first quarter last week, Lynch only rushed for 17 yards and also turned the ball over via fumble in the first half. Effective running by Lynch will wear down the Colts defense and could potentially prevent us from having to come back from a deficit late in the game. The Seahawks have won the turnover battle in each of their first four games. They have forced over twice as many turnovers (13) as they have turned the ball over themselves (6). This week will be a big challenge in the turnover department as the Seahawks defense faces a Colts offense that has only turned the ball over twice this season. Consider this to be an extension to the point of establishing a consistent pass rush. If the Seahawks defense gives Colts quarterback Andrew Luck a lot of time, he will pick our defense apart much like how Matt Schaub picked apart our defense in the first half last week. If we win the turnover battle this week, I think we will be victorious once again. The Indianapolis Colts are loaded on both sides of the ball. Andrew Luck has one of the brightest futures of any young quarterback in the National Football League due in large part to his mental capability and his underrated athleticism. Add the talent of veteran wide receiver Reggie Wayne and powerful running back Trent Richardson, the Colts offense is definitely capable of moving the ball and scoring points. The Seahawks run defense has not given up a touchdown on the road all season so I am confident that they can stuff the run effectively. 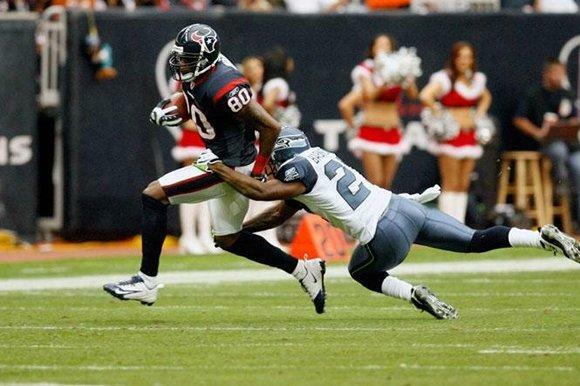 I am not worried about Richardson and the Indianapolis running game as much as I am worried about their air attack, which was an aspect of the opponent’s offense that was a weakness for the Seahawks last week in Houston. In their two road games so far this season the Seahawks have allowed an average of 225 passing yards per game. Meanwhile, the Colts offense has averaged 231 passing yards in their two home games. 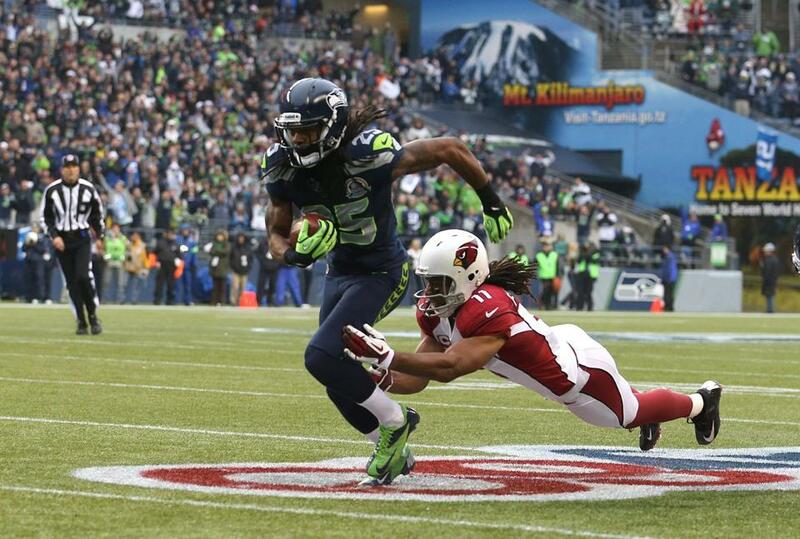 Richard Sherman will line up against Wayne this week and I am confident he can hold him to minimal catches and yards. My X-Factor player to watch this week on offense for the Colts is tight end Coby Fleener. With starting tight end Dwayne Allen out for the season with a hip injury, Fleener has emerged as the #1 tight end moving forward. Given his history with Andrew Luck dating back to college at Stanford, Fleener could be a reliable target this week, especially given the potential unwillingness to challenge the Legion of Boom on the outside. Fleener could be primed for many catches this week if he gets open when the Seahawks defense is in zone coverage. On defense for the Colts, another X-Factor player to watch is linebacker Jerrell Freeman. As I discussed earlier linebacker Robert Mathis has earned a lot of attention for his sack total but Freeman has also made an impact in the opponent’s backfield. Freeman has recorded 3 sacks of his own so far this season and his speed could be a challenge for the Seahawks makeshift offensive line this week. Look for Freeman and Mathis to make an impact on second and third down often this week. Random Thoughts: This week is the only road game where I know exactly what uniform combination the Seahawks will wear. Per NFL rules, each team is required to notify the league office of which uniform top they will wear for each week of the season by the end of July. Some teams choose to post explicitly what their uniform combinations will be each week but the Seahawks choose not to. However I have learned that before the July deadline, Russell Wilson requested that the Seahawks wear white pants along with their white jerseys against the Colts. Wilson believes that the white/white combo will make it easier for him to see his teammates and the opponent because the way Lucas Oil Stadium is designed, it can be very bright down on the field, thus it is hard to make out who you are throwing to if both teams are wearing similar colored uniforms… Kevin Burkhardt and John Lynch have the call for FOX this week. It will be nice to have a break from Chris Myers and Tim Ryan… Now that I think of it, Seahawks fans will not be exposed to a Myers/Ryan broadcast until at least week 9, as our next three games after this week are on CBS, NFL Network, and ESPN respectively… Ron Winter is the referee this week… You will be able to tell how old and unathletic Winter is. Maybe he is the referee that is retiring at the end of this season… I am having a bunch of people over for the game this week so that will be a lot of fun. I haven’t hosted a “watch party” since the playoffs last year… Go Panthers, go Jaguars, and absolutely go Texans this week!… A win this week means a 5-0 start. I was talking with my friend James earlier this week about the upcoming schedule. I did not want to look too far ahead, as I try to take the same “one game at a time” approach the players and coaches do. However, it gets me excited to think about what could be in store if we beat the Colts and get to 5-0. With Tennessee at home, Arizona, a struggling St. Louis Rams team, and an unraveling Tampa Bay team at home, following this week’s game is there any part of you that thinks the Seahawks could be looking at a 9-0 record like I do? Prediction: Going into this season I thought that the Seahawks would split their back-to-back road games in Houston and Indianapolis. I did not know which game would be a win and which would be a loss but I was content to accept the possibility of losing one of those two games. However, following last week it has become increasingly difficult to count the Seahawks out of any game regardless of how bleak it may look. I expect the Seahawks to struggle but I believe Russell Wilson will play a better all-around game then he did last week. Big plays by the Legion of Boom will be the difference. Bobby Wagner will force a fumble and Earl Thomas will pick off a deep Andrew Luck pass in the 4th quarter to seal the win and give the Seahawks their first 5-0 record in team history. 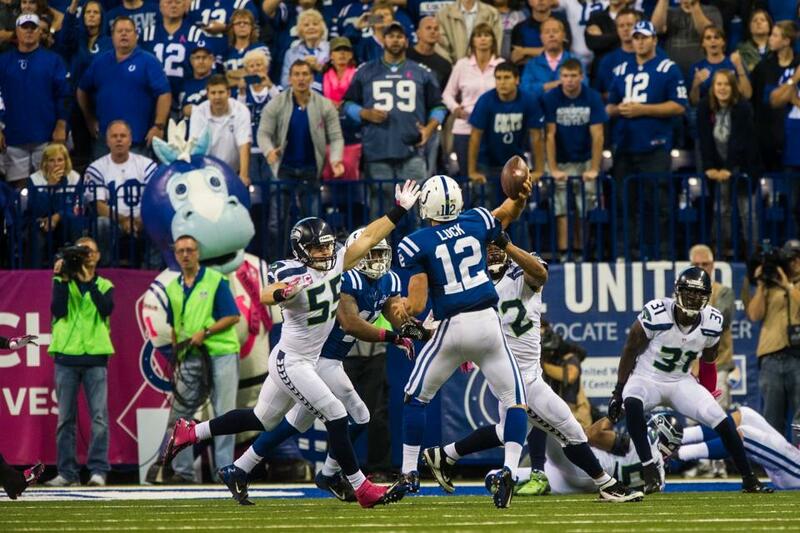 Check back Sunday night after the game for my review of the Seahawks matchup with the Colts. Thanks for reading and enjoy the game. And as always, go Hawks!